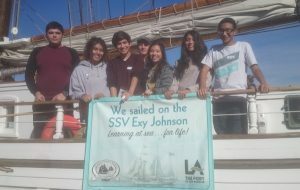 LAMI youth crew members, also members of the Ánimo high school Marine biology club, (a.k.a. the LA Microplastics Team), have been carrying out research for nearly 2 years off the Institute’s brigantines. 5 Gyres has donated a Manta Trawl to help students collect microplastic samples at sea, and their research extends to regional beaches to measure for microplastics. 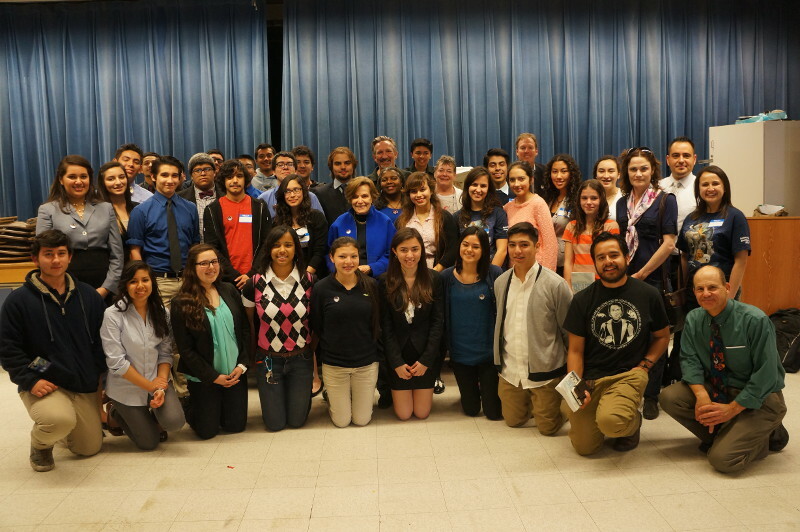 They are working to inspire other environmental clubs at Leuzinger HS, El Camino College, Environmental Charter, South East HS, and others. They are helping to organize environmental clubs throughout LA gearing up to an international environmental conference in Cuba in early July 2019, as well as an international youth conference on microplastics and ocean plastic pollution in Japan late July, 2019. The student’s research, education and action campaign seeks to pressure companies and governments to respond to this environmental crisis. Additionally, the students’ work and example, which includes their on-going collaboration with teachers and students in Japan, Honduras, Cuba, Mexico, Colombia, India, England, Tunisia, Chile is important.